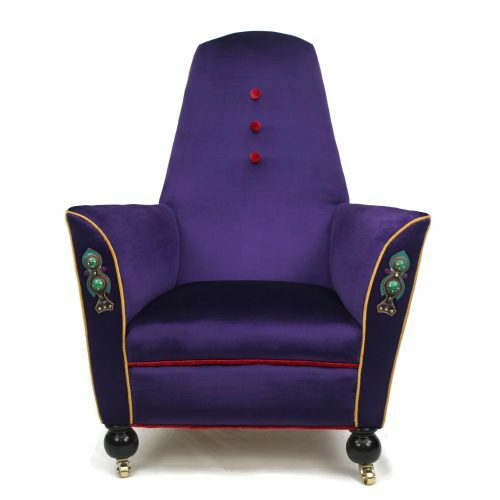 Rare, stunning and with a wild sense of drama. Despite its conservative size this piece has real presence! 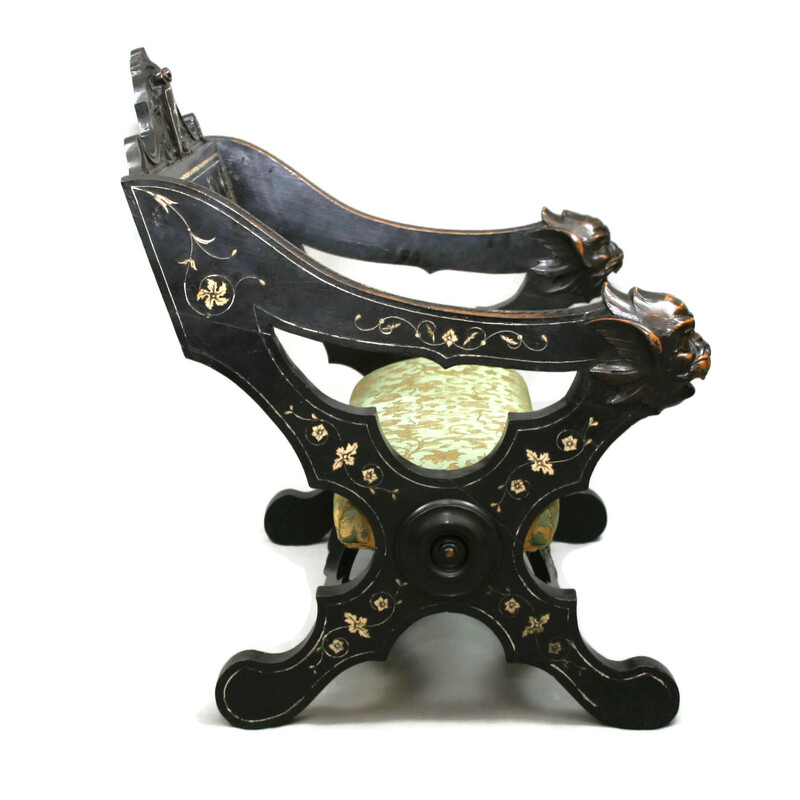 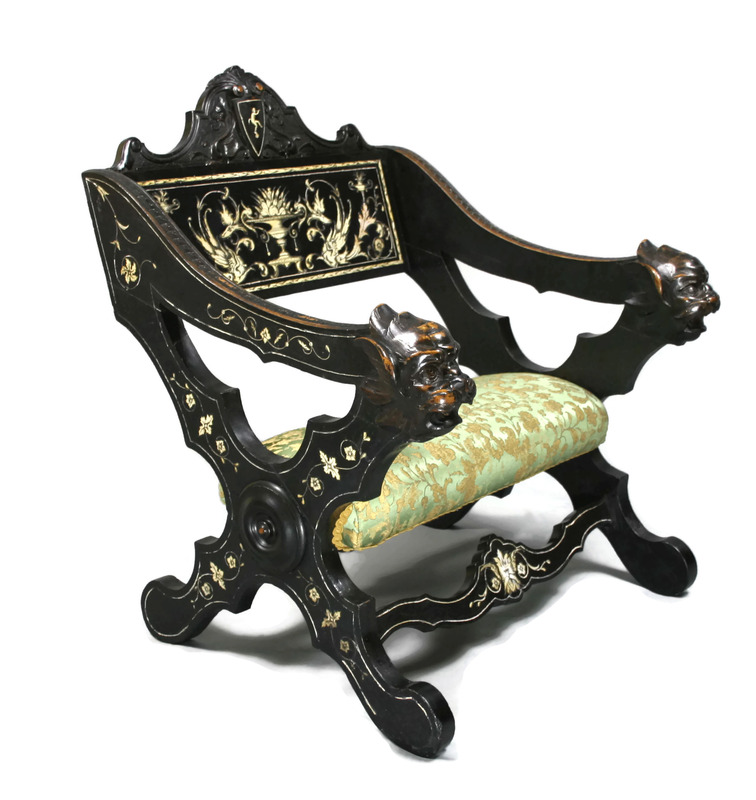 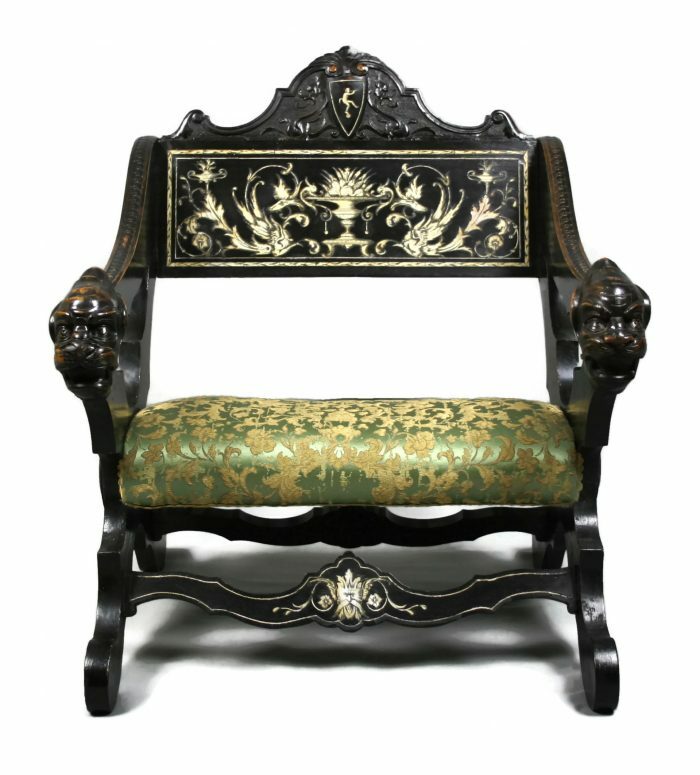 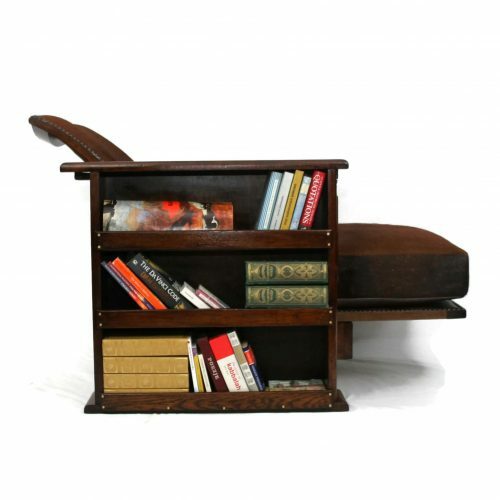 There is just so much going on in this gorgeous Italian Renaissance-style chair from about 1880. Boasting heavily carved and ebonised walnut, it has extraordinary Ivory inlay scenes with winged griffins, dragons and satyrs at play depicting the vital power of nature. 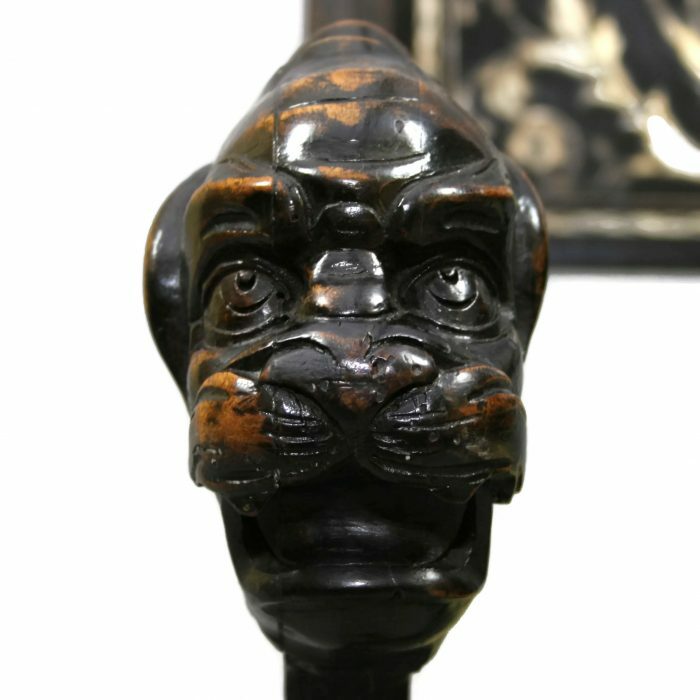 Roaring Nemean lion head arms add to the sense of theater. 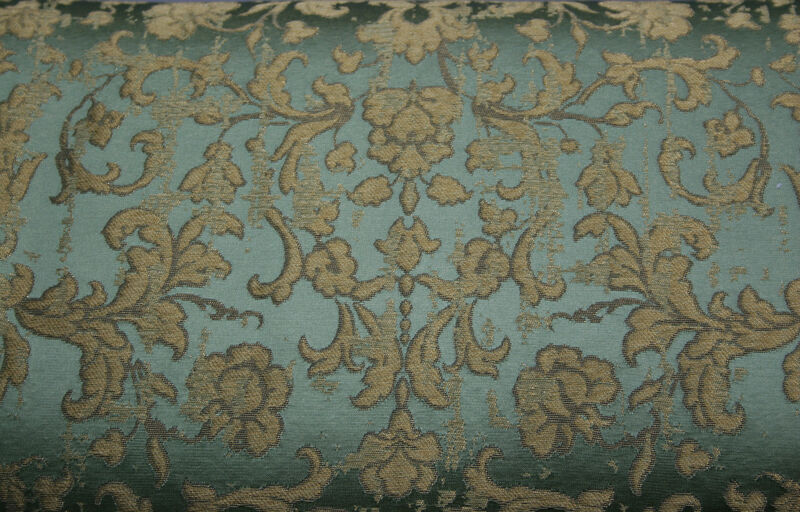 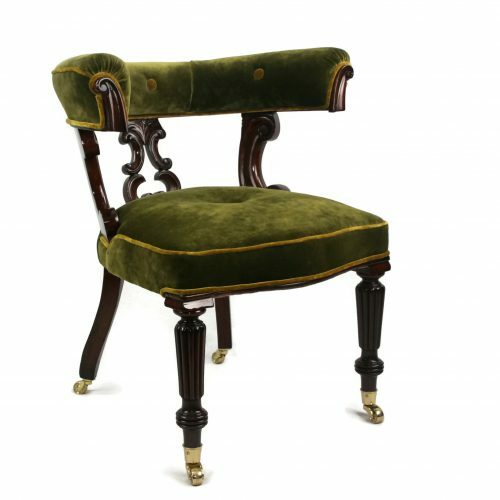 We recovered the seat in sumptuous green and gold Jacquard Rubelli silk imported from Venice because, to be honest, the chair warranted it. 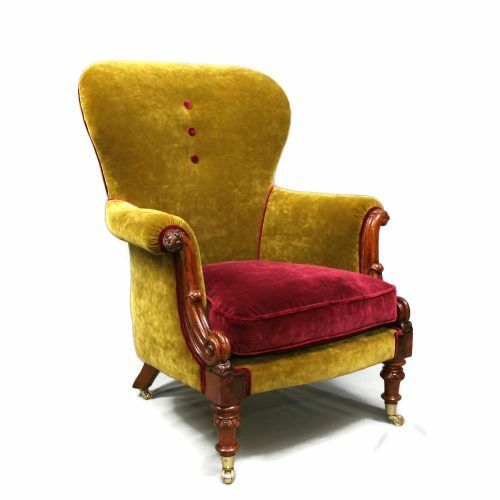 As is common in a chair of this age, there is evidence of long-dead worm but it has been comprehensively treated in our workshop. 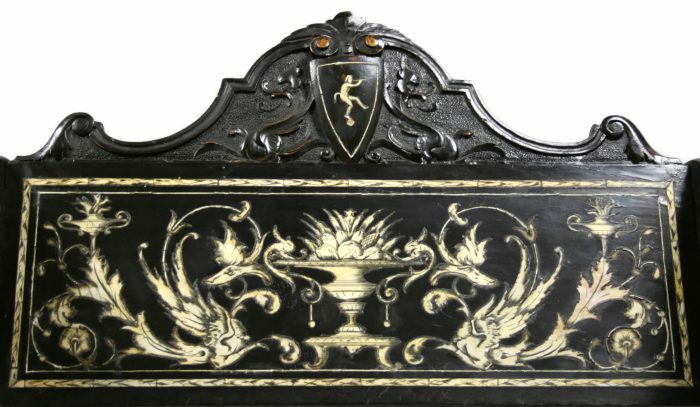 Likewise, there are some minor areas where the ivory has dislodged but this does not detract from the overall effect (please see pictures).